Yeon Me Kim is an Attorney handling a wide variety of family and employment based non-immigrant and immigrant visa petitions. She provides skilled and steady guidance to clients to help them navigate through challenging immigration processes and achieve their goals despite complex issues. Her employment practice includes H-1B Specialty Occupation workers, R-1 Religious workers, and L-1 multi-national transfers, among others, while her family practice includes helping to unite spouses, parents, and children in the United States. 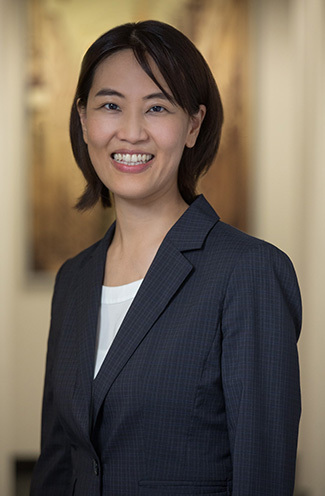 Before joining the firm in 2017, Yeon Me practiced for five years with the immigration practice at Chugh, LLP. Previously, she served the underprivileged Asian American population as an Immigration/Domestic Violence Fellow at the Asian Pacific American Legal Resource Center where she focused on Special Immigrant Juvenile Status, U visas, and Violence Against Women Act protection, among other humanitarian forms of immigration relief. In addition, she worked as a law clerk at the Family Law and Mediation Center where she focused on family law. Prior to law school, she worked at Citibank Korea Inc. and completed an internship with the International Labor Organization in Manila, Philippines. Yeon Me speaks Korean and English. The Broad Impact of H-1B Premium Processing Suspension, Law360, October 3, 2018 (with Becki Young and Ali Nasserghodsi). Why H-4 Spouse Work Authorization Rescission Will Hurt U.S., Law360, May 25, 2018 (with Ali Nasserghodsi).